2006. 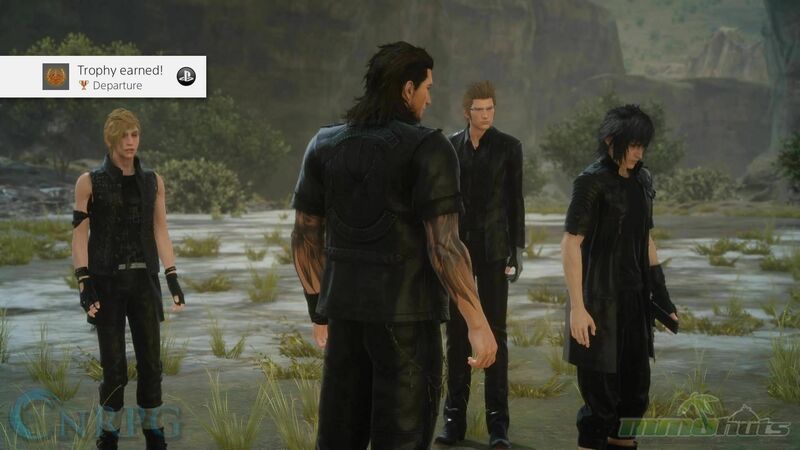 That’s when Final Fantasy XV was announced. Two Thousand and Godblessed Six. AND boy did it go through some changes. The game has evolved and grown over that time, taking on different names, delays, pushbacks, and so many other horrid things. 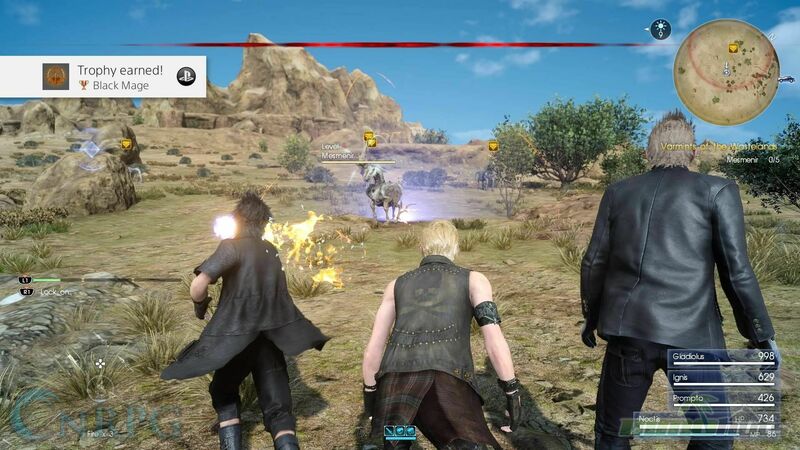 Looking back, that was probably my least favorite time with the franchise. I fell in love back in 87, but did not actually own a Final Fantasy game until well into High School. I played them, rented, borrowed, but never owned until later. But Final Fantasy X was the peak for me. By 2006, I was disenfranchised, thanks to how awful the English release of Final Fantasy XII was. To me it was awful. Beautiful, but I hated so many things. [Sidenote: International Release WAS good, and Zodiac Age will blow minds away]. 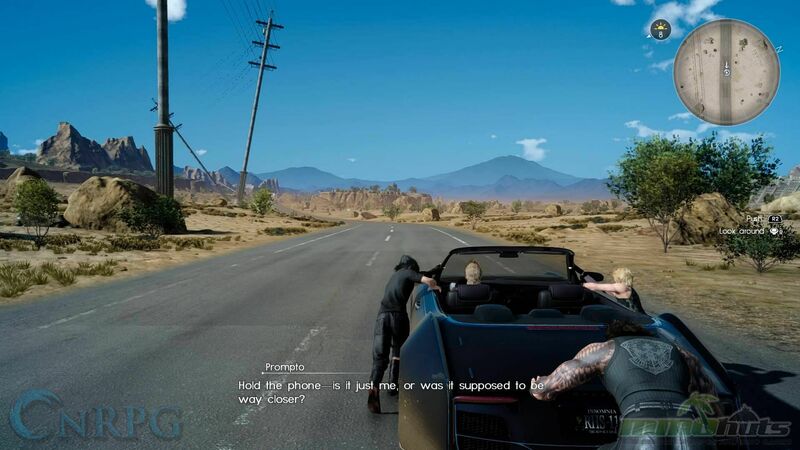 But back to Final Fantasy XV. I have so many memories and expectations of the series as a whole. 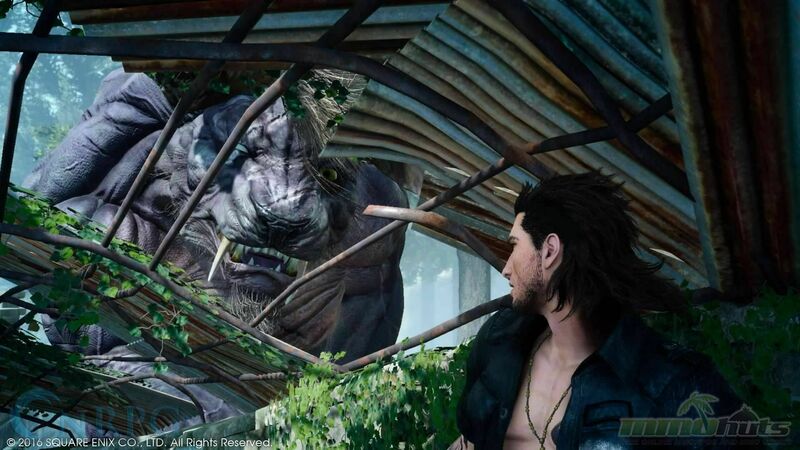 Final Fantasy XV’s success depends on if it will even push forward, I imagine. 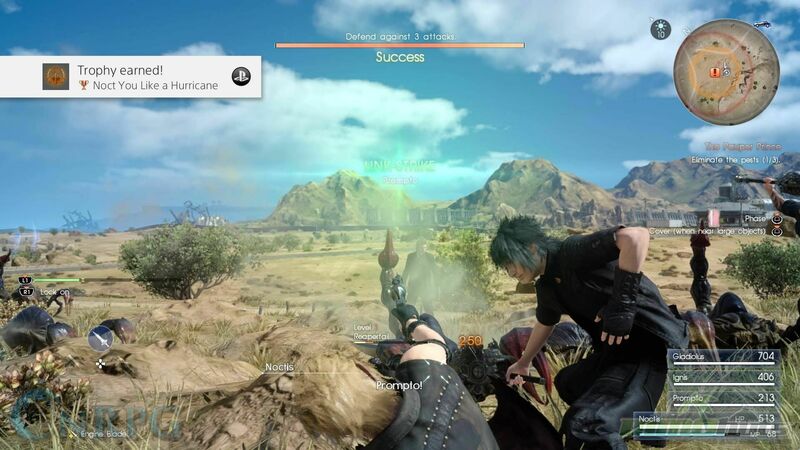 So much time and money has gone into it, failure could devastate Square-Enix. 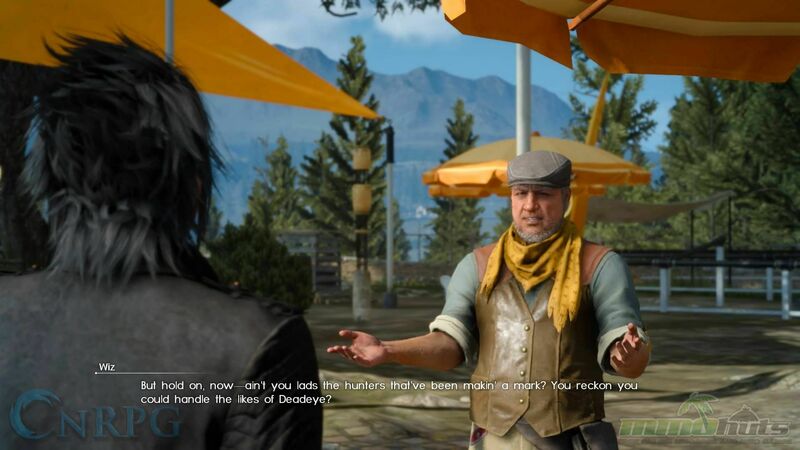 But we have to come back to the important question: What is Final Fantasy XV? We’ll go back to a complaint of the previous games. 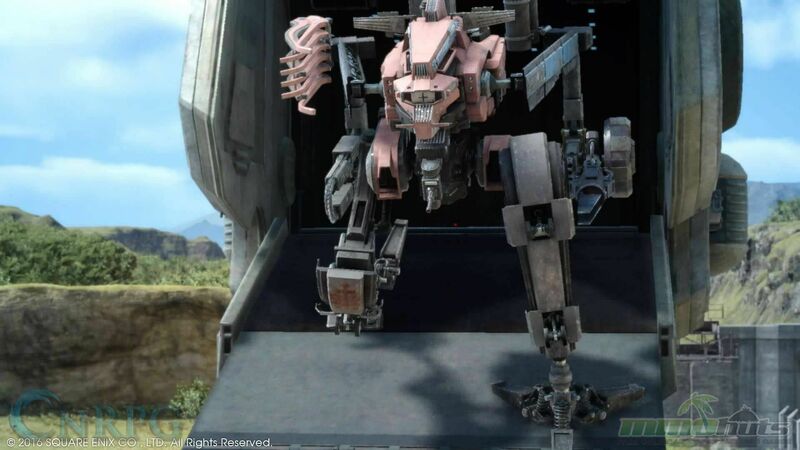 In particular, Final Fantasy XIII, or as it has come to be called, “Hallway Simulator 2012”. Until the very end, it was just one long corridor. 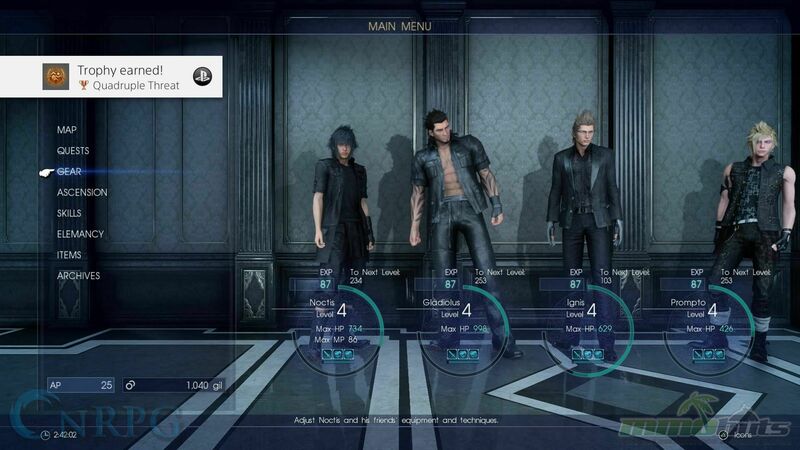 Final Fantasy XV is the absolute opposite in every sense of the word. 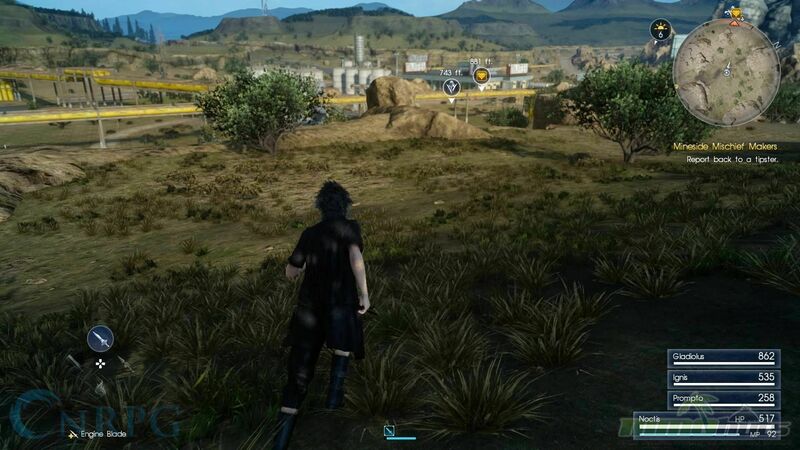 XV is a humongous open world, possibly too open. 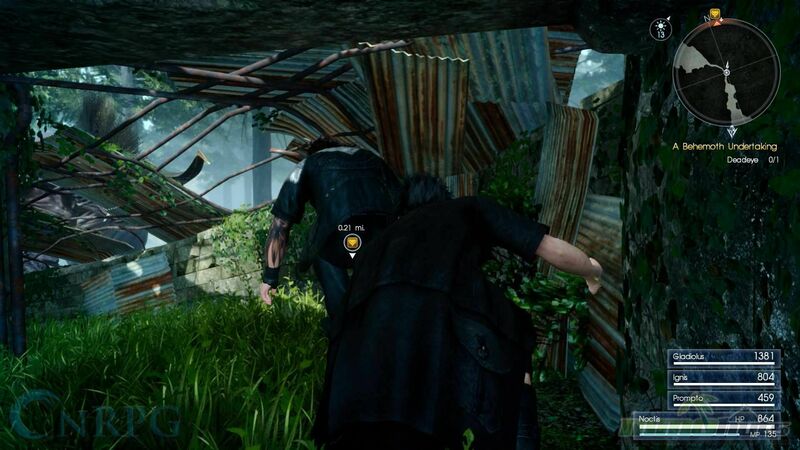 The game is gated in spots, where you can’t progress due to storyline reasons, but it won’t slow you down. 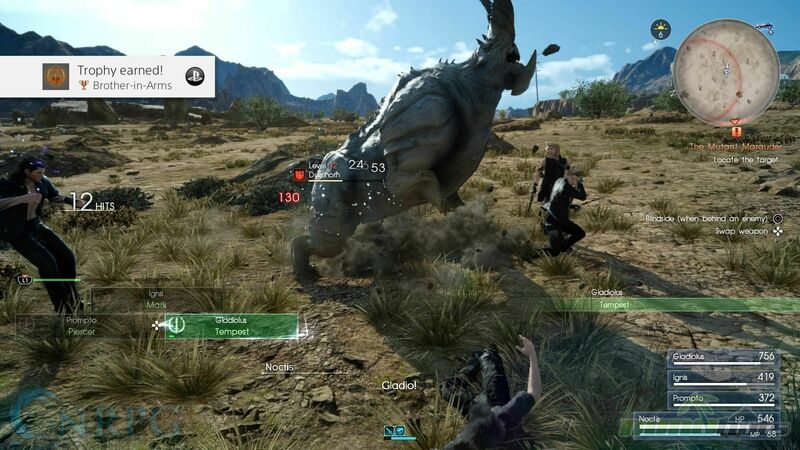 There is a never-ending list of hunts, side-quests, upgrades to the Regalia, monsters to combat, treasures to acquire. Experiments to do with magic to figure out the best combinations of spells/items. It can be daunting though, at least I emphatically believe so. 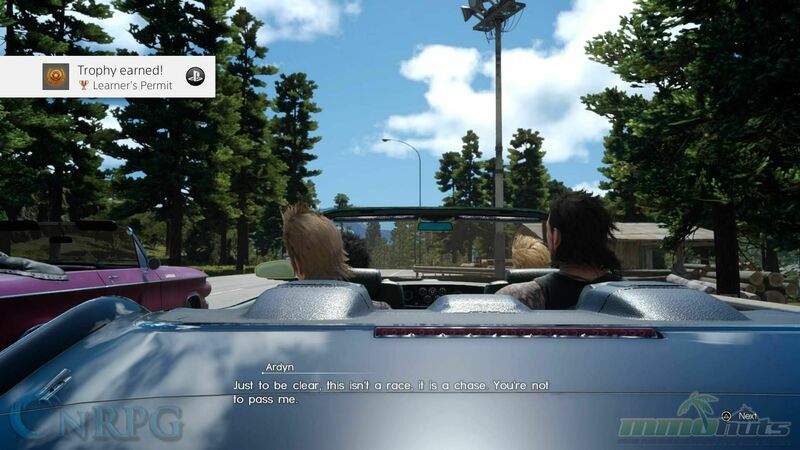 Normally, a game that is this open turns me off and pushes me away, but I’m able to just pick a destination in my car, turn on the tunes, and get there to accomplish a task. 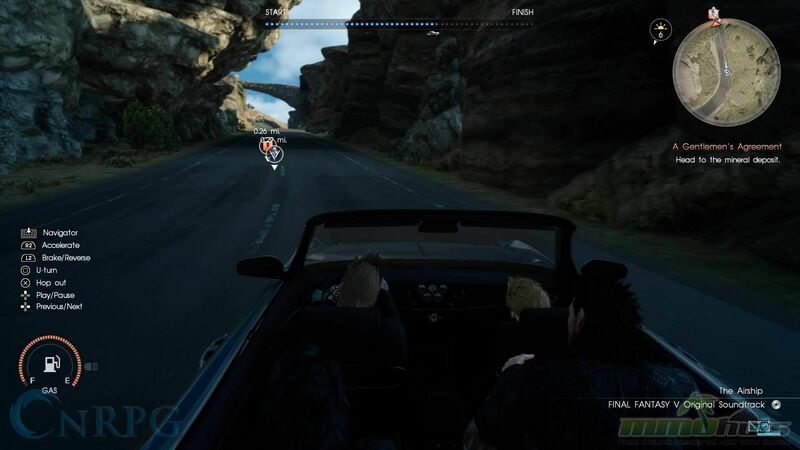 Though at first you can’t drive at auto-drive at night, until Ignis thinks more of Noctis. 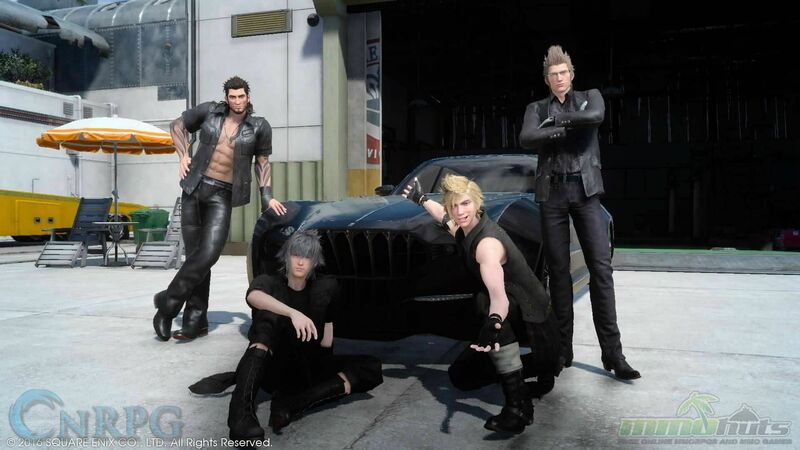 But what is Final Fantasy XV, I ask again? It starts off as a boyband of black-clad prettyboys on a joyride to pick up a girl. But in the blink of an eye, everything changes, and the world turns upside down. It’s about claiming a birthright, growing as a person, and growing as a team. 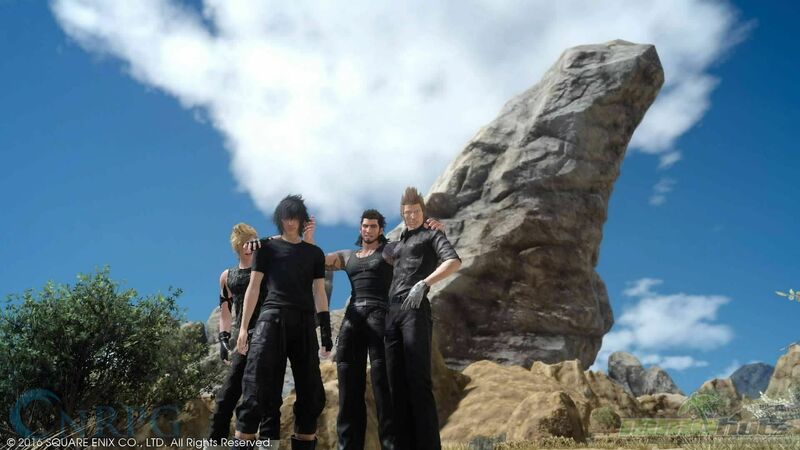 The best place to start is the beginning: Prince Noctis is traveling with his friends, Gladiolus [Big Man, Big Sword], Ignis [Genius, Tactician], and. 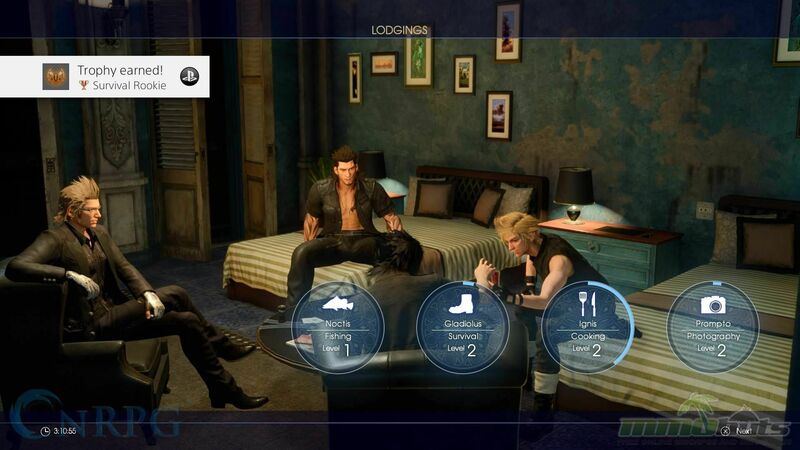 . . Prompto [Wise Guy, Camera Aficionado]. They aren’t strangers, which is kind of a nice change of pace from the norm. 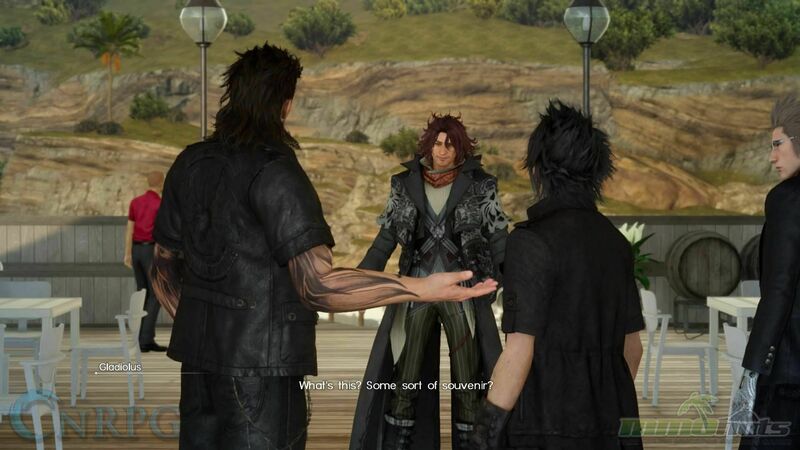 Usually in a Final Fantasy game, you meet new allies and partners along the way, but here, everyone pretty much knows everyone else. You’re really among the who’s who of Eos. I’m partial to the main character rising up and earning his spot, but here, you’re all very important. How important? Well, they don’t really say outright. 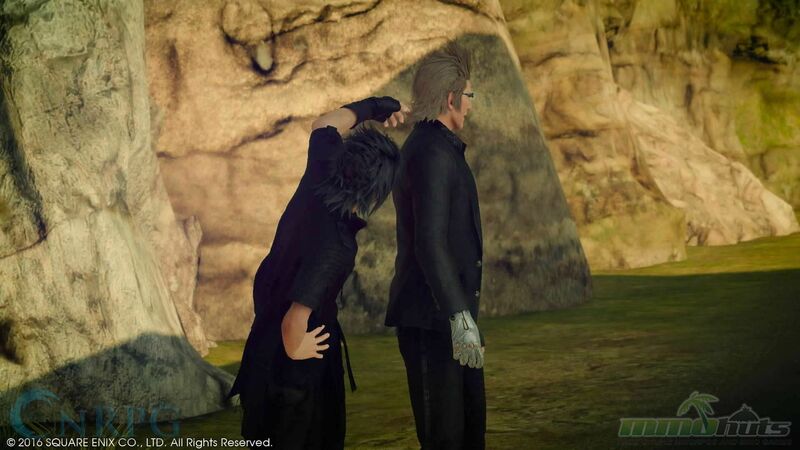 . . Other than Noctis being a Prince. 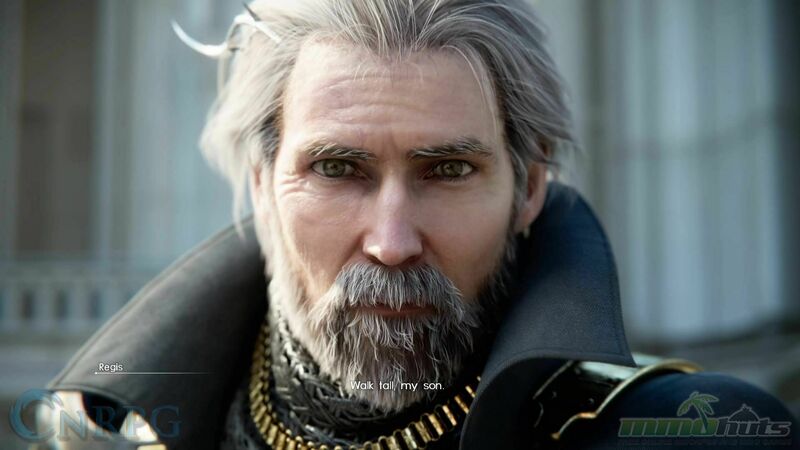 One of the negatives about the game/story is that if you didn’t watch Kingsglaive/Brotherhood, then you’re going to miss a. lot.. So much of the story won’t make a lick of sense unless you watch the source material. Since when do video games need source material? I shouldn’t have to do research just to know what’s going on. Fortunately I wanted to watch them. . . But it shouldn’t be a necessity to go outside of the game to understand the plot. 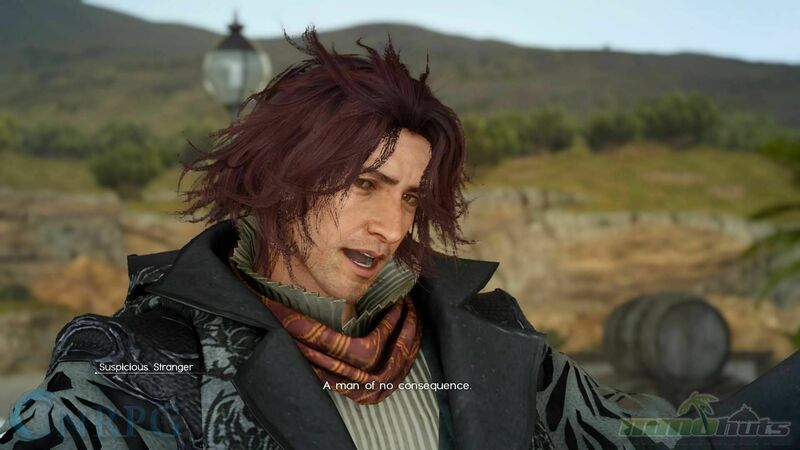 Everyone from the shady Ardyn, to the mechanic Cid and his scantily-clad but charming daughter Cidney, to the legendary Cor the Immortal, everyone is special. Now this has positives though; at least you know you’re important, and your place in the story as the main character makes sense. You matter, and the reasons that people want to save/murder you as violently as possible will come across as something that works from a story perspective. If you really want to know it all though… do your homework. 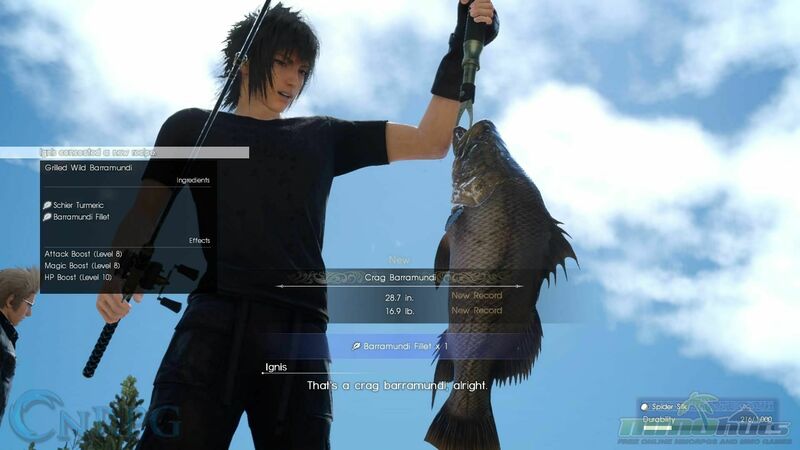 ● Noctis: Fishing. He loves fishing, and there are a variety of ways you can use it, from cooking, to selling fish, and more. ● Ignis: Cooking. Buffs. You want them, you need them. The higher it goes, the better stuff he can make, and you can make the buffs last longer with AP. 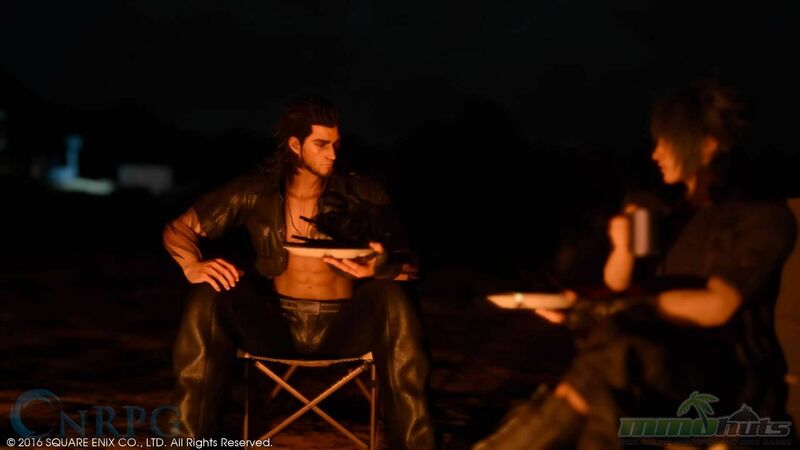 ● Gladiolus: Survival. He finds cool stuff post-combat. The higher it is, the better these items are. ● Prompto: Photography. He takes selfies, and photos of stuff in the world/combat. This is interesting in that he’s not a badass like the others. He’s a more realistic look at the world around you. The two most polarizing things about this game to me, at least, and that’s Combat and Magic. 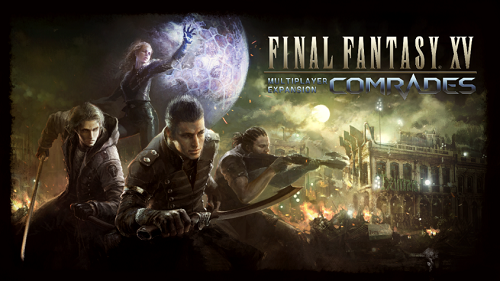 Combat is action-packed and real-time, where you hold Circle [on PS4] to swing your weapon. I do feel like combat is either too easy or too hard though. If it’s at your level or above, it can crush you violently. If it’s too low, you’re going to mow it down. Even more so if you upgrade your weapons; that pays big dividends. You have up to four weapons you can swap between [or you can slot in a spell or one of the legendary health-draining weapons], which have their own usefulness, speed, elemental attributes, abilities, etc etc etc. You can roll/dodge with a button, and perfect timing and then parry for tons of damage! However I do feel like the dodge prompt shows up a little too early, but that might be just for me. But it’s absolutely essential. If you can’t learn how to master parry/linking, you’re going to have a bad time. Many enemies at your level have quite a bit of heft to them, but mastering linking, warp striking and parrying can really turn that tide. If one of your friends is working on something, you can sneak around and link up, and deal extra damage. There’s Wait Mode, which you can activate to learn the weaknesses of enemies, find snipers/hidden enemies, or have a moment to breathe to plan/plot the next move in such a fast-paced game. Wait Mode doesn’t last forever, and you toggle it via your options. You can use the Ascension Board to have unlimited Wait Mode, though. . .It definitely helps you have moments of peace where you figure out what the Hell is going on in such a chaotic time. Who is fighting who [to figure out where to put your blade], for example. You also have items to activate, mostly for health, or if someone’s crippled, you can rescue them [and give them stat buffs for doing so with the Ascension Board]. And then… there’s Warp Strike. How I have grown to hate Warp Strike. When you’re in combat, you can hold Triangle to warp around, consuming mana. If there’s an area above you, you can warp up to it, dangle by your weapon, then target an enemy. Farther you are away, the better the damage, and it does bonus damage to that target. However, typically there will be one, MAYBE two spots per fight to warp to. Otherwise you just warp around and do nothing but burn MP. Most of the time I use Warp Strike to try and be clever, I Warp Strike backwards and sigh wearily as I run back to the fight. 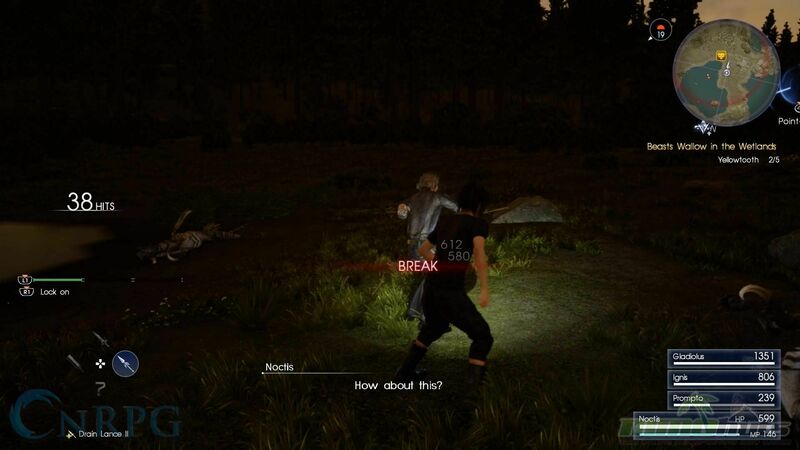 Other than this, the combat is fantastic and having skills to activate for your friends at least lets you feel like you have a measure of control over them. Through the AP system you can unlock more abilities, but they can only equip one at a time. A weapon, a side-arm/weapon, up to three trinkets, clothes, and a skill. Clothes can change what your stats are too, which is useful for combat, so I want to mention it here. You have a variety of sets of clothing options, and they do matter. Keep an eye on what they do. 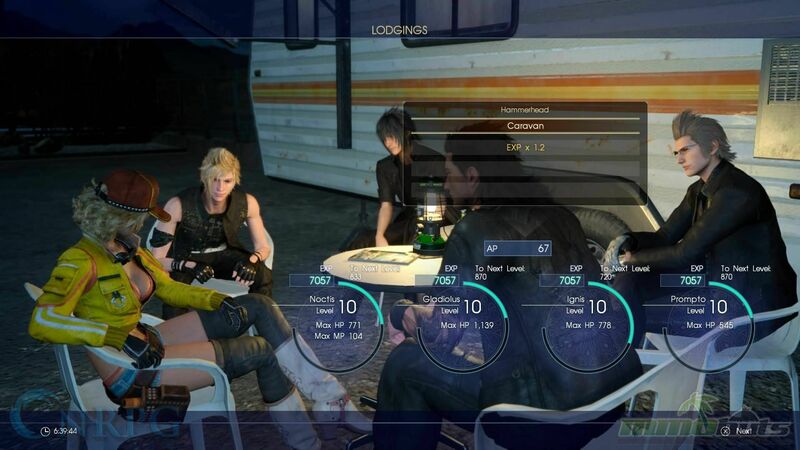 In addition you gain AP/EXP, which only gets added once you’ve rested somewhere. AP is spent on the Ascension Board. 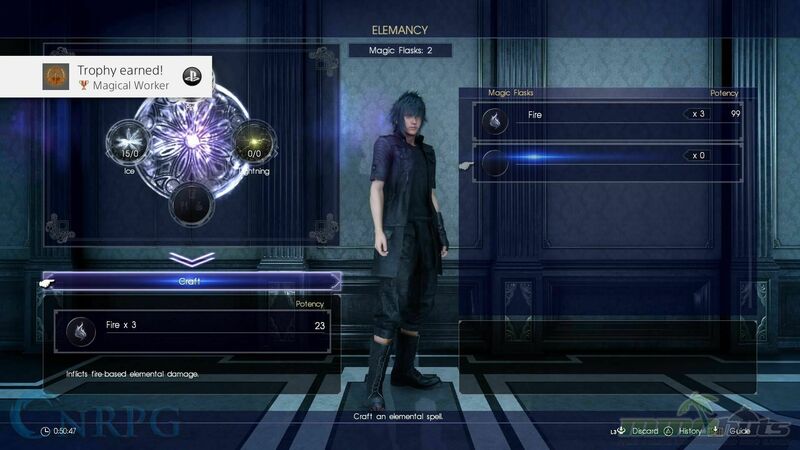 It has several categories, from the Wait System, Exploring, Skills, Stats, Magic, and so many other things. Do plan this stuff ahead. Learn what you want, what you need, and focus down those paths. 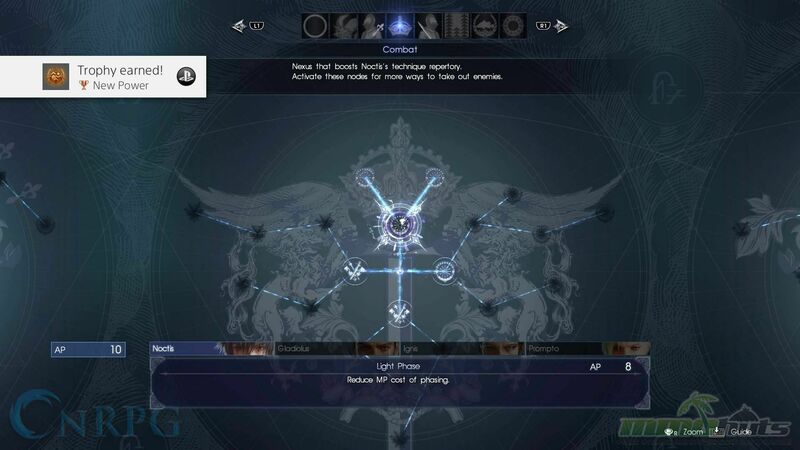 Magic is a key part of any Final Fantasy game. Even the most technological games have magic. Remember Final Fantasy VIII and its draw system? Well, it’s kind of back! 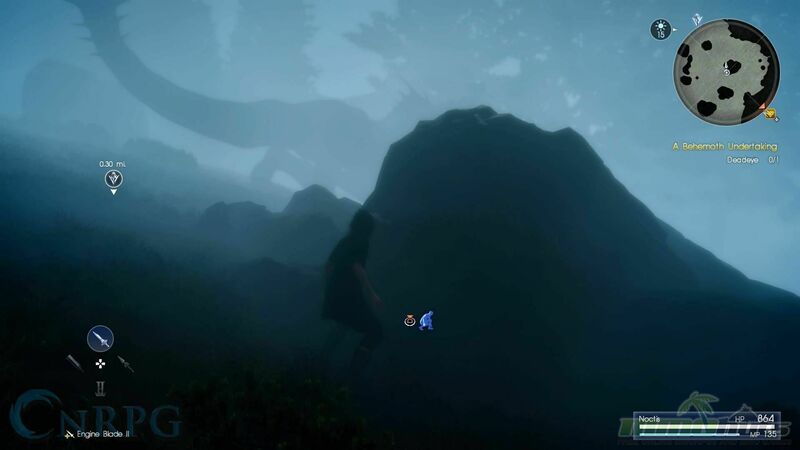 There are points on the map that have elemental symbols on them. Visiting restaurants and things like that will reveal these and other points via chatting. You have to draw from these points and you can increase how much you gain via AP. But how does magic work? You use these magic points to increase the “potency” of the spell, Blizzard, Fire, or Lightning. But to make more powerful magic, you have to experiment. I feel like, without a guide for this, you’re going to just be miserable and not use magic at all. Which isn’t bad, for reasons which I’ll get to shortly. Do you want Fira? Then you need like.. 99 Potency Fire, then add Blizzard or Lightning, and that gives you Fira. You have to work even more for Firaga, and those aren’t even the only things you can do! You can add items, like your collectibles that are worth piles of gil, into your spells. They aren’t permanent either. They have a cooldown, and charges. CHARGES. You burn through all of your mana sources, and you get three shots with a spell that has a cooldown? I am not a fan of this system, no matter how innovative and interesting it is. It’s gratifying to watch a big spell proc four times because of how you created it though. However! Your friends are not immune to your spells. Nor you to theirs. You can, and will kill your friends with spells. A lot. Often. Magic is insanely powerful. 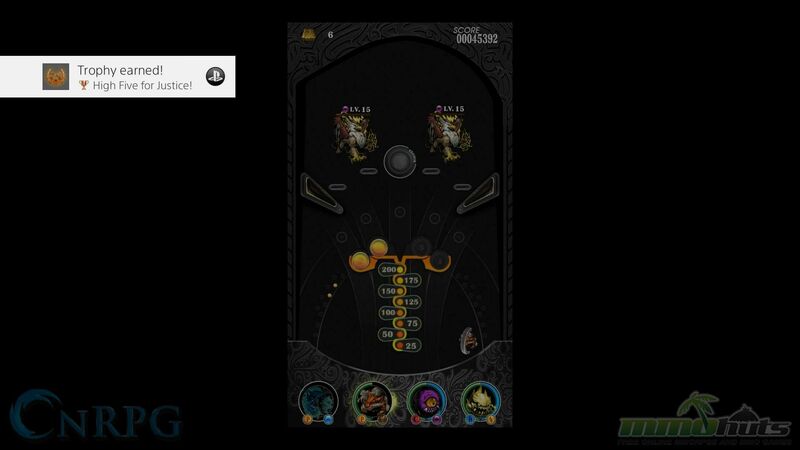 I watched a friend hit for 9999 in Chapter 2 or so, with Magic. Just obliterating challenges that are supposed to require tactical thinking. Instead, link strike, fire, DEAD. Magic can take the fun and challenge out of the game, but by the end of the game you’re going to desperately want it. Some of the end-game content is ruthlessly unfair. Tl;dr: Magic is dangerous and unstable. Be wary of how you use it. Eventually, you’ll also get summons, because why the devil not!? Summons are titanic, require work to get, and have conditions upon when you can summon them. They can’t just be sprung out on any old encounter. But when you do, you’ll change the face of that fight in a big… big way. 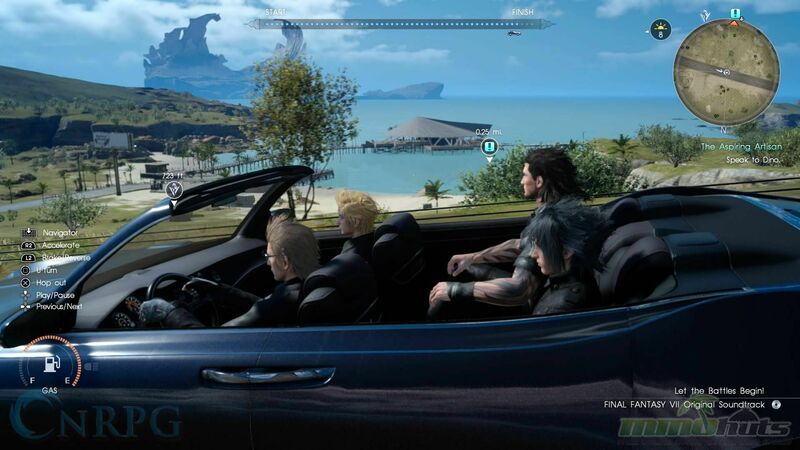 You have a few modes of transportation, but the two main ones [other than your feet] are the Regalia [your gorgeous, customizable car] and Chocobo. 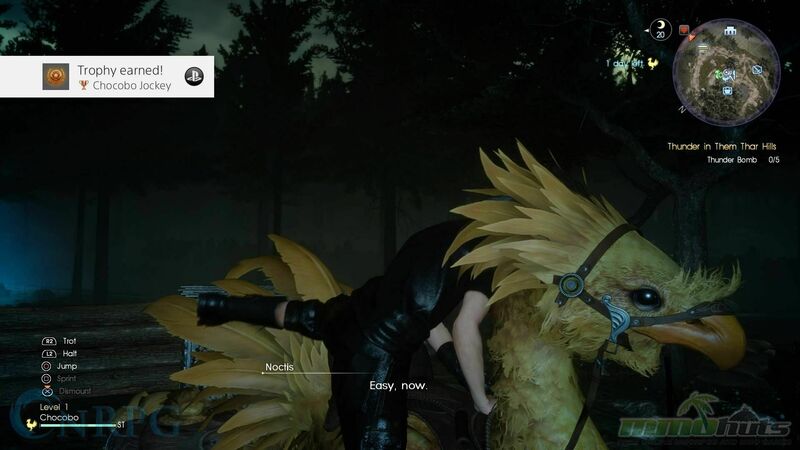 Yes, you can ride about on chocobos, but honestly? I’m not a fan. 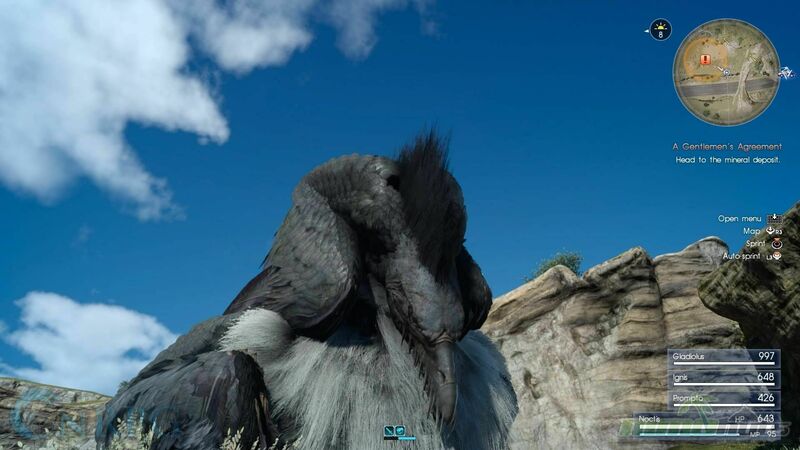 It is fun, charming, you can level up your chocobo, customize their colors, they can aid you in a pinch, but I tend to not use them other than when I really need to. I’d rather drive a car. You can also customize, update, and add cool stuff to the car. 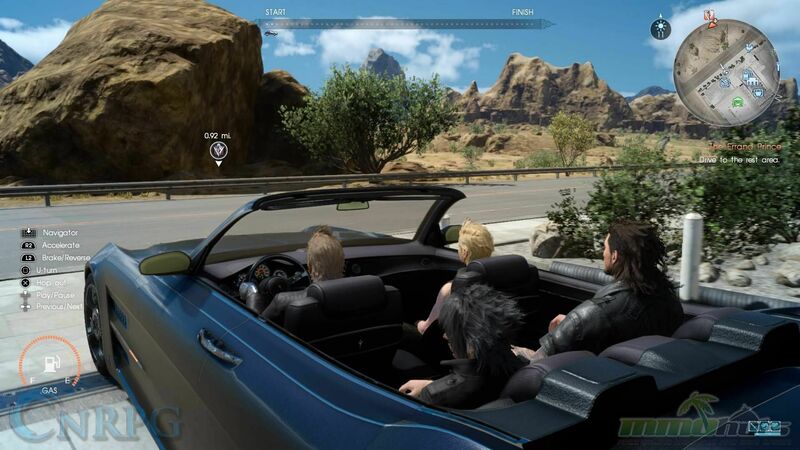 You can even buy soundtracks for your MP3 player/car, of pretty much every classic FF game! You can do some crazy things with your car too, but no spoilers! There’s a solid, constantly moving time table, and at night, the monsters are more aggressive, and far more powerful. As an example, being level 12 and coming across a level 35 Iron Giant is not unreasonable at night. But you can’t take your car off roading, except in very rare circumstances. 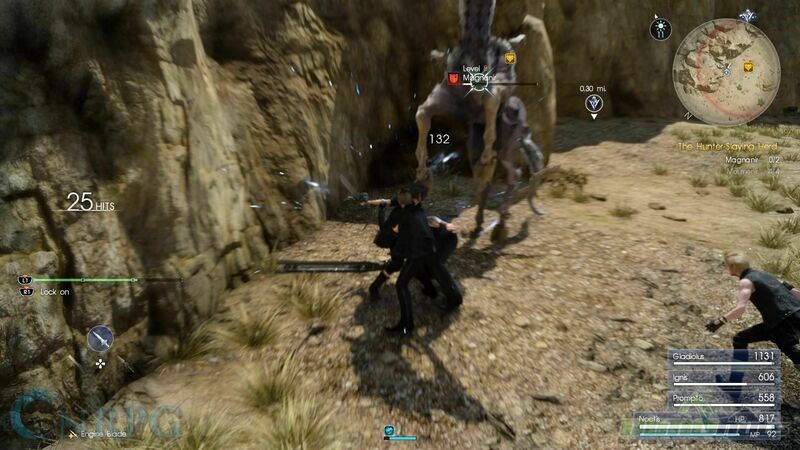 It’s easier to take a Chocobo, or you can just hoof it on foot and fight everything in sight. As I said earlier,at first you’ll be prompted to go rest for the night instead of exposing yourself to needless danger. 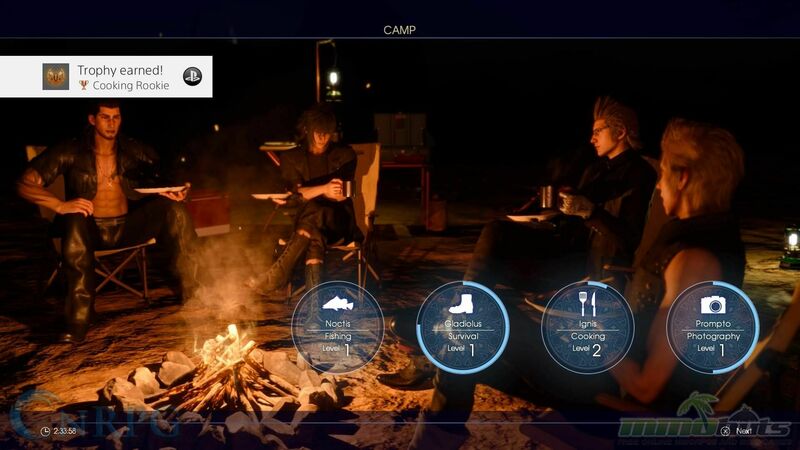 When night comes, you can either rest at a hotel [bigger xp multiplier], or out at a camp site [train with allies, cooking for insane buffs]. 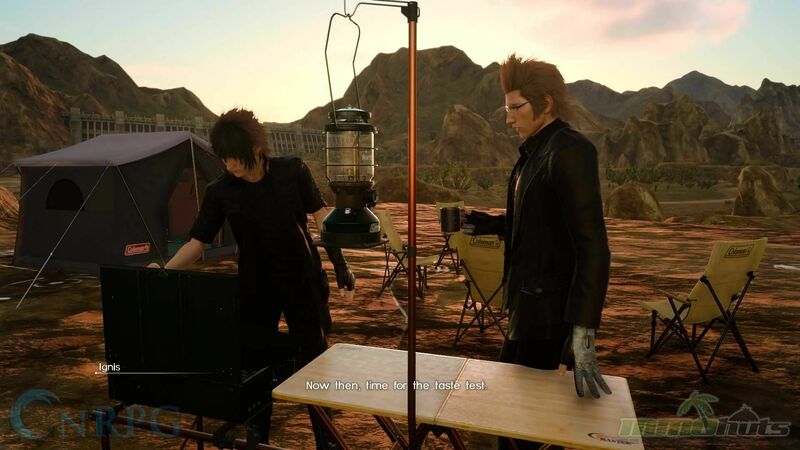 Speaking of food, cooking does give a variety of buffs, so try every dish you can so Ignis can learn them! Buy cookbooks and buy all the meals! You’ll be able to farm up veggies for them in the world, and meat from slain foes. It’s worth it. It’s so damn worth it. You’ll find yourself eating before any major hunt, which is the next big thing. Hunts are going to be your major source of money. 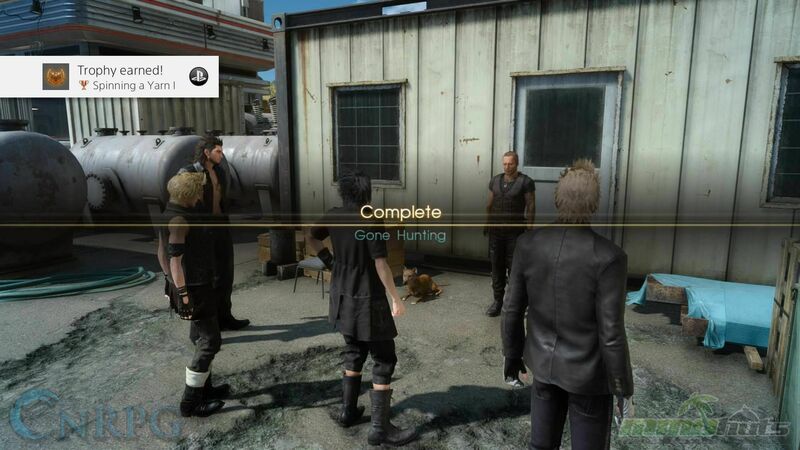 Enemies don’t give gil, so you have to complete hunts/quests. 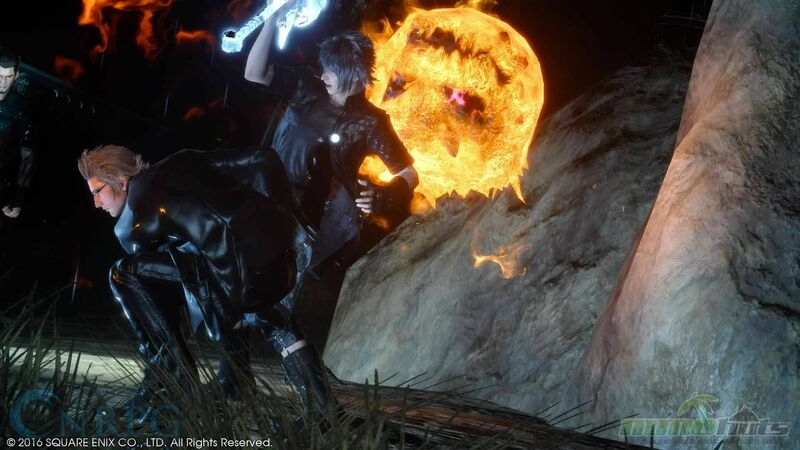 Hunts are specific quests for a level range, where you kill particular enemies, whether it’s day or night [some are certain times], and you gain tons of gil/cool items for them. And stars! You have levels as Hunter, which is a job in the world, and higher hunter levels equal greater challenges. 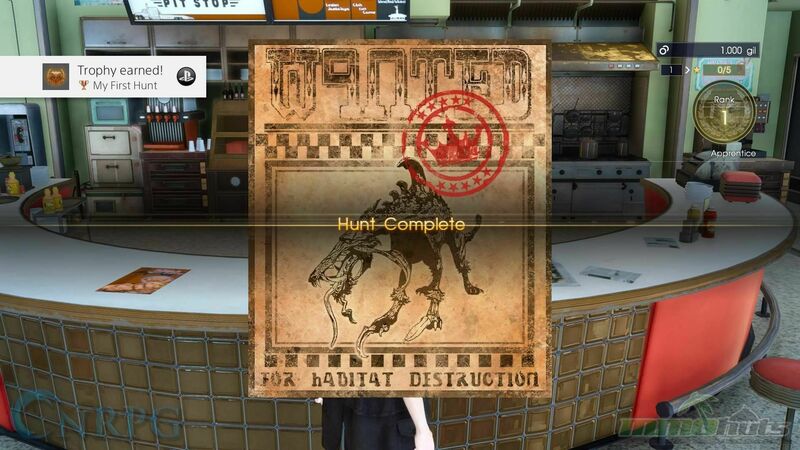 There’s also a sidequest series where you hunt down dogtags of fallen hunters. 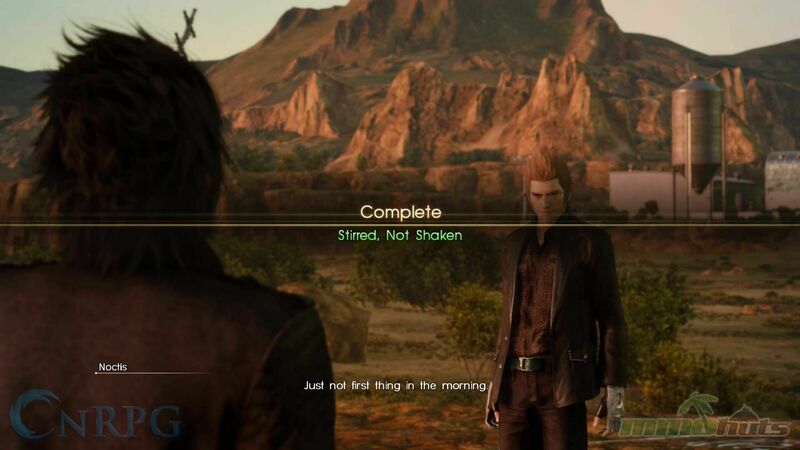 Some of the many sidequests. . . In addition to the main story, there are eight billion things to do in the world. No, I won’t tell you them all here, that would leave my editors with far too much work. But I’m going to give a brief glimpse into the madness that is the world around you. The map has so many things on it: Procurement Points [Foods] Treasures, Parking Spots [places to stop for quests, etc], Gas Stations as just a bit of it. 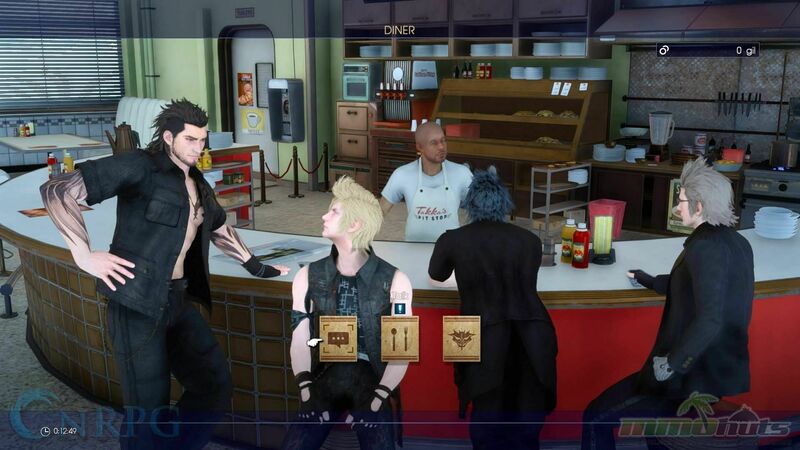 Gas Stations tend to have a mobile home or something to rest at, and a diner where you can pick up quests. 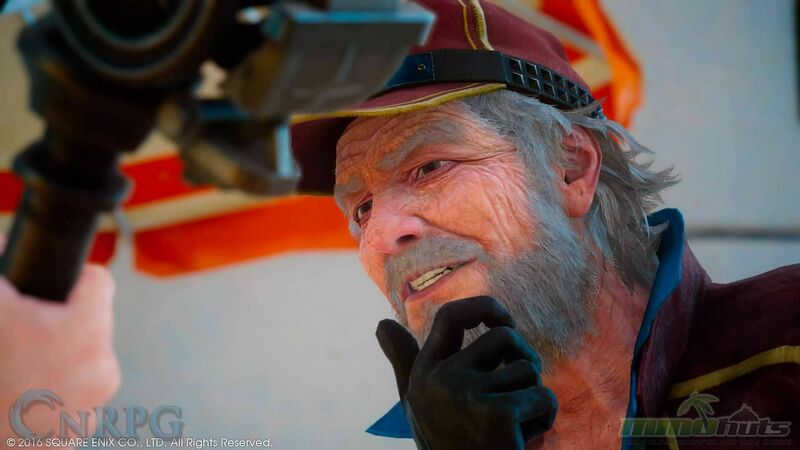 You can go on fishing quests in the wild, quests for Cidney to upgrade your car, Cid to upgrade your weapons, Takka to get food for his diner, Jewelry quests, and that’s just the tip of the iceberg. Every single stop you can take will have stuff to do, not to mention stuff off the beaten path. 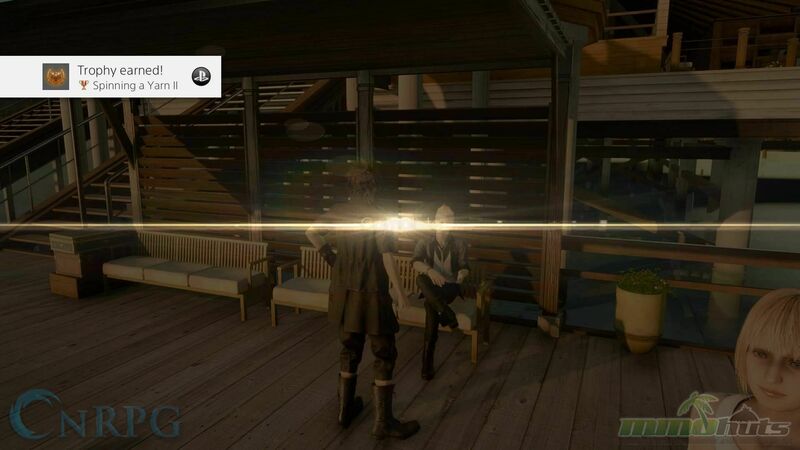 That’s why I’m blown away by people who beat the game on day one. Why would you do that? Do you not care about the world around you? That’s the major shine for this game. You have an endless supply of amazing things to do. You don’t have to, you don’t need to, but these people need your help! This is a terrific way to add to the game, but I can also see the downside: It’s just fluff and doesn’t contribute to the story at all. But it kind of does! It gives you a better view of the world around you. It’s a game built on exploration; it draws you in, and lets you see the characters in a different light. 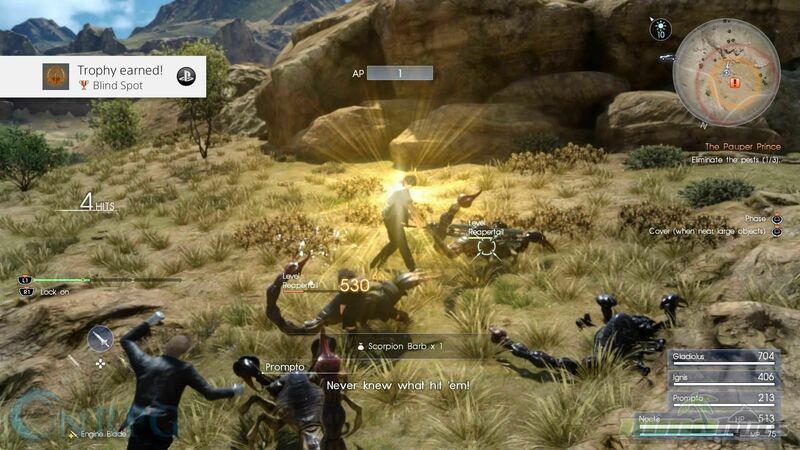 Sure you can fast-travel to some of the quest objectives/givers, but why would you do that? 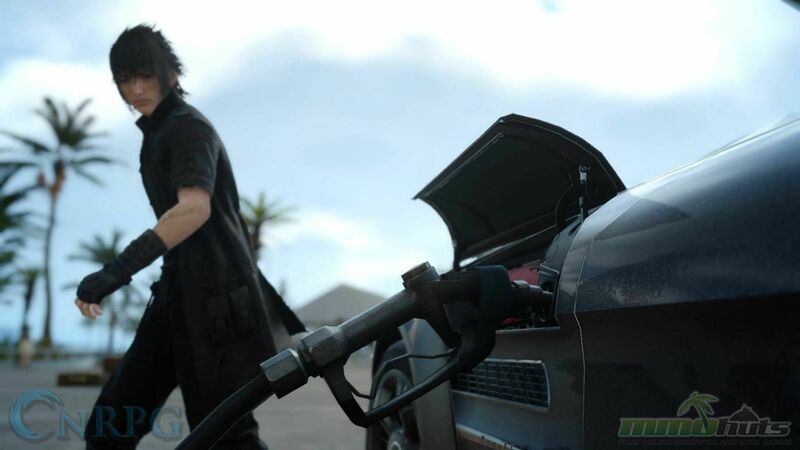 You can literally gain exp/ap for traveling, gas is cheap [seriously, 10 gil for a fill up. Come on.] and the music is phenomenal. You learn what your friends like, don’t like, things that make them testy, things that make them smile. It’s like gaining a new group of friends you never knew you wanted. 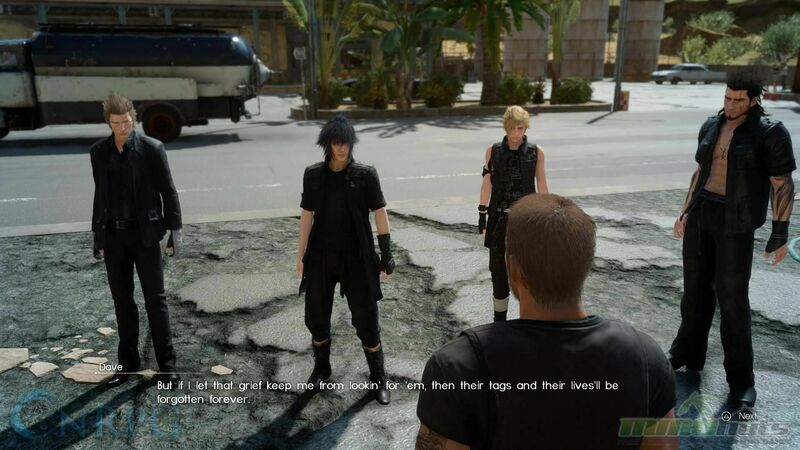 Final Fantasy XV doesn’t pull punches and it doesn’t take prisoners. 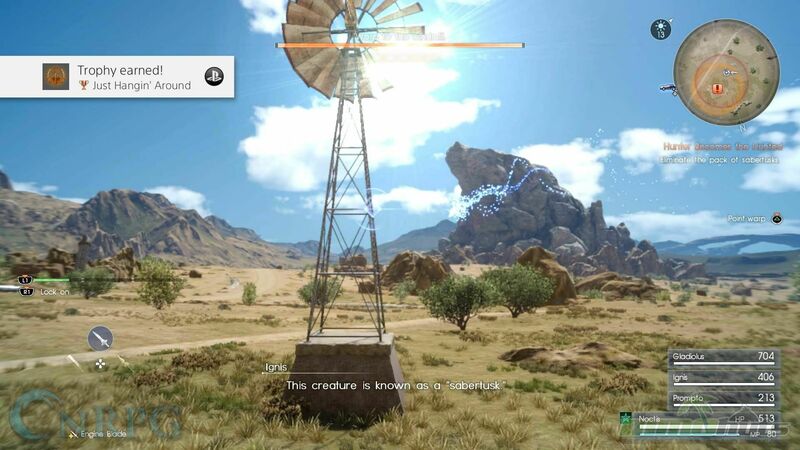 It’s a charming, alluring game and while it is visually appealing, it’s more than just pretty graphics. I felt personally invested in the lives and well-being of the characters that made up my team. 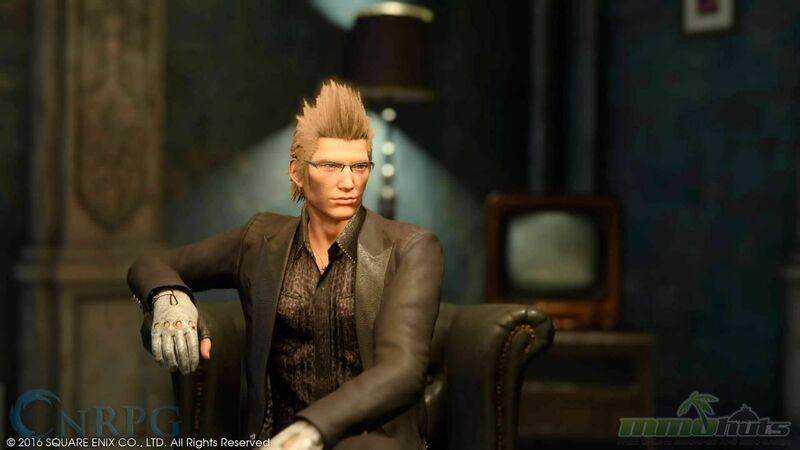 I liked knowing Ignis’ favorite coffee, I felt heart-broken about the backstory of Prompto, and what made him what he is today. 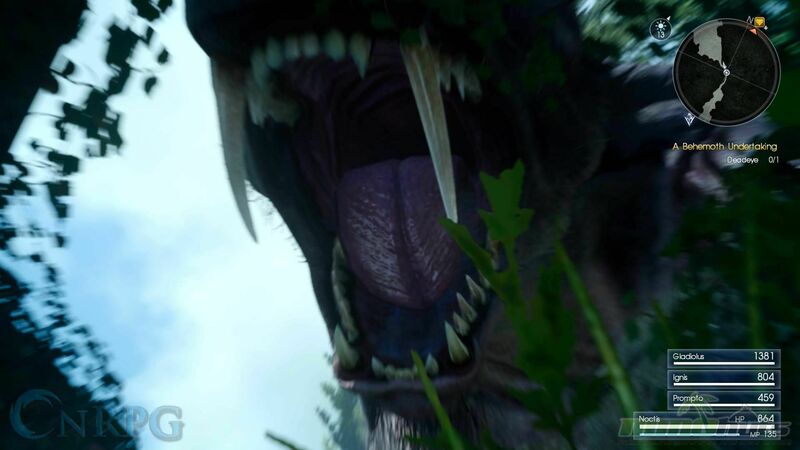 It has adorable dogs, fast-paced action, and a barrage of different things to do/ways to do them. + Gorgeous, Well-crafted, visually appealing. The world is vast and it makes sense. + Combat is always intense. There’s never a dull moment, even when you die in one hit over and over. + Variable gameplay time; lengthy or short dependent on you. – Warp Striking is absolute garbage. Not being able to warp strike to more locations in a fight is a serious hinderance. – The few times there are platforming parts, they’re very disappointing in how difficult/frustrating they are. – Only being able to hold one hunt at a time seriously increases the amount of time things take. Very frustrating.